You can name the field as you want. In this case, we have used attached_file_contents but you can use any name. The rest of the parameters are usually left as default. 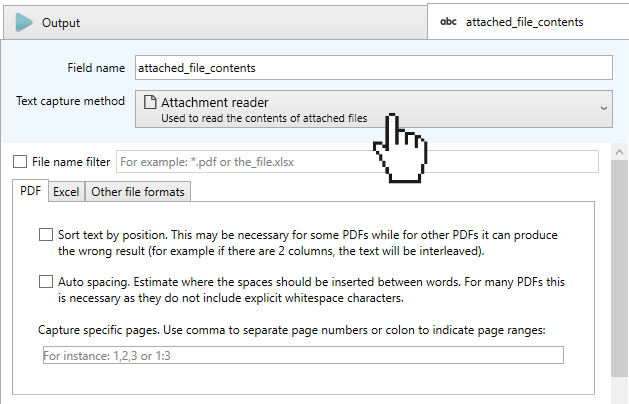 But if you expect to receive more than one attachment in the same email it is useful to set a filter to prevent Email Parser from opening and reading all the attached files. The next step is to create another field and use the previous field as the input. You can see in the screenshot below that we choose attached_file_contents as input.